Ahead of presidential elections next March, a wave of governor dismissals has swept Russia. Since the start of the year, President Vladimir Putin has shown the door to 15 regional heads, with an estimated 10 more expected to be axed. Meanwhile, Russian media are trying to keep track of who is coming and who is on their way out. September alone saw new appointments in Nizhny Novgorod, Samara, Oryol, Krasnoyarsk, Primorye and Dagestan, while the governors of Omsk and Ivanovo are expected to be replaced shortly, according to media reports. Interim governors face elections next year to keep their posts and in Primorye in Russia’s Far East and Dagestan in the North Caucasus, local parliaments will have to confirm the posts. Independent journalist Kirill Martynov of Novaya Gazeta says the governor purge is linked to presidential elections next March. The Kremlin wants to set up new bastions of influence in the provinces, he says, not only to ensure Putin’s re-election but to exert control over some of Russia's more volatile regions. 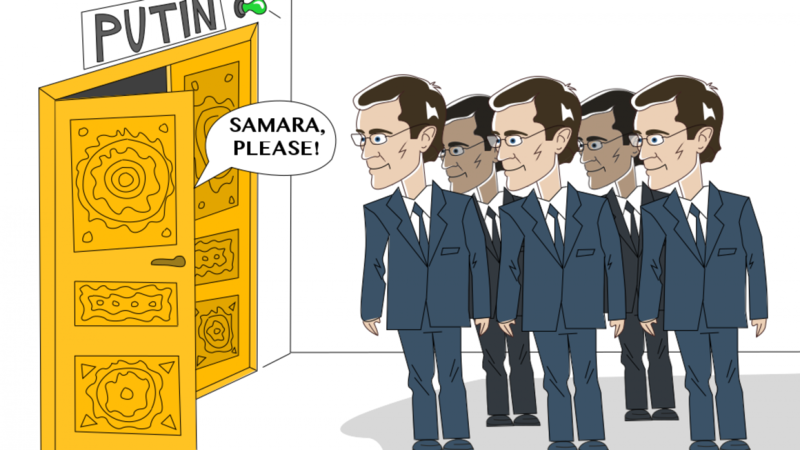 The latest wave of resignations began early this year, when seven heads of Russian regions and republics — Perm, Buryatia, Novgorod and Ryazan and Mari-El, Udmurt and Karelia — left their posts. The reshuffle is part of “a new tradition, that started about one year ago,” political analyst Yekaterina Schulmann told The Moscow Times. When Putin came to power in 2000, he forced through a draft law to remove governors from their seats in the Federation Council, the upper chamber of parliament. In 2004, he announced the end of direct elections of governors. Following mass opposition protests in late 2011 and 2012, the elections were brought back by then-President Dmitry Medvedev, although some regions like north Caucasus republics opted to have their leadership elected by the local parliament, under the tight grip of the United Russia party. Social media users in Russia have been quick to point out the uncanny similarities between some of the new appointees, describing them as obedient technocrats — a characterization Schulmann disputes. “There are regions with certain problems and the Kremlin wants a governor there to fix them,” she explains. In many cases, it takes an outsider to be seen as a problem solver. Moscow is sending State Duma deputy speaker and United Russia faction leader Vladimir Vasilyev, already 68, to rule the North Caucasus republic of Dagestan. Vasilyev is replacing Ramzan Abdulatipov, an ethnic Avar, who was alternately loved and hated when he struggled with Islamist insurgents, cracked down on Salafist mosques and challenged neighboring Chechen strongman Ramzan Kadyrov. He resigned in late September after turning 70, the mandatory retirement age. Besides having extensive political experience, Vasilyev is an outsider with no clear affiliation to any of the local clans. “Vasilyev will follow an old, imperial Russian tradition of the governor-general of some sort,” says Natalya Zubarevich, an economics and social geography professor at Moscow State University. “A fresh face is not responsible for the mistakes and the mismanagement of his predecessor,” she says. With regional elections over and the presidential campaign not until next year, now is “an opportunity to get rid of those who, according to the Kremlin, would have been unable to ensure [Putin’s re-election] effectively,” says Turovsky. “Secondly, it’s an opportunity to configure the elites for the next presidential term and for the stakeholders to advance their interests in the regions,” he added. Other departing governors are Igor Koshin of the Nenets region who will be replaced by Alexander Tsybulsky. 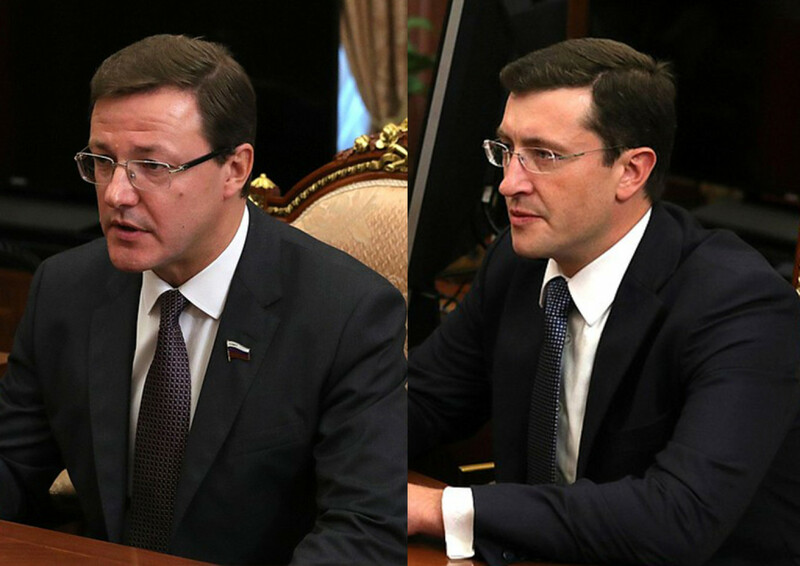 Nikolai Merkushkin in Samara has been swapped with former Saratov mayor Dmitry Azarov. Vladimir Miklushevsky of the Primorsky region will be replaced by Andrei Tarasenko. Omsk and Novosibirsk are also very likely to see dismissals, RBC reported, because of the high level of protest sentiment there. Governors “more than likely” to be dismissed include Alexander Karlin in Altai because of internal conflicts among the elite and protests in the region. Viktor Zimin of the republic of Khakasiya and Marina Kovtun in Murmansk are both also predicted to be ousted over corruption scandals.